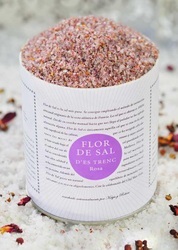 Flor de Sal with rose petals and pepper. 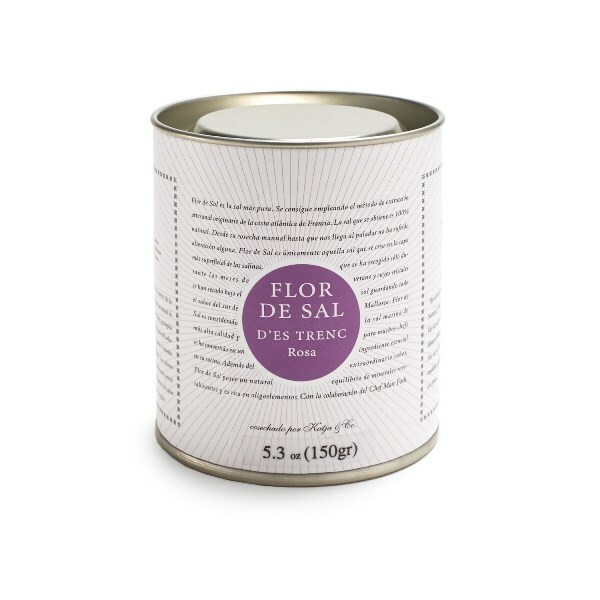 The natural Flor de Sal captivates with its mild sweet harmonious taste and its high mineral content. Harvested in the salt flats of Es Trenc, Mallorca. Flor de Sal d'es Trenc is pure nature of Mallorca. 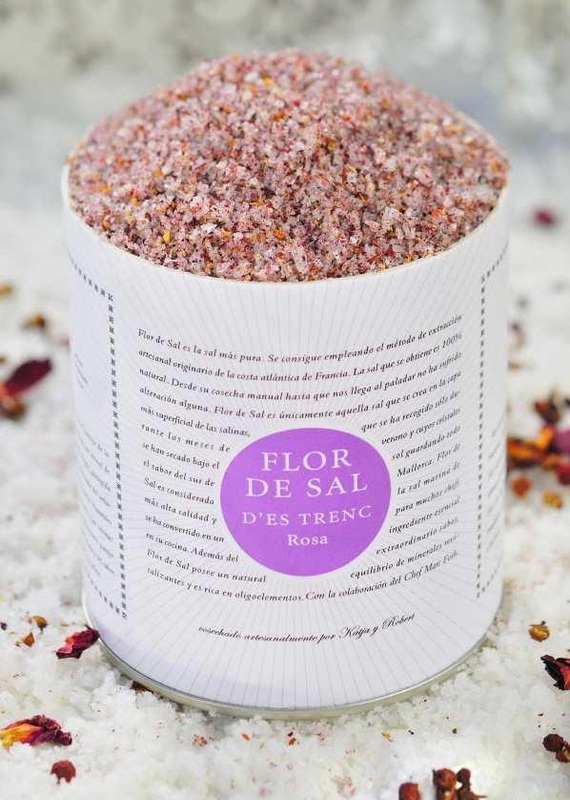 Hand-scooped at the natural beach of Platja d'es Trenc and crystallized by the sun, this sea salt contains a varey of healthy ingredients that are important for our well-being. Over 80 essential minerals and trace elements are detectable, especially magnesium and potassium. Flor de Sal is a completely natural product without additives. ​This composition blends the aroma of Rosa Gallica petals with the freshness of Szechuan pepper and the gentle spiciness of Sarawak black pepper. A tasty and harmonious combination. 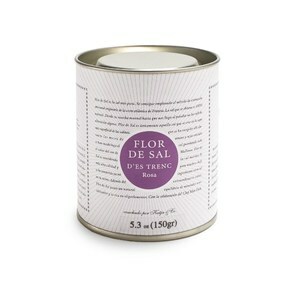 Flor de Sal Rosa adds a touch of spice to salads, fresh cheese and all types of grilled meats and fish. The transparent, irregularly shaped grains are not suitable for salt grinders but can be crushed using a mortar and pestle. 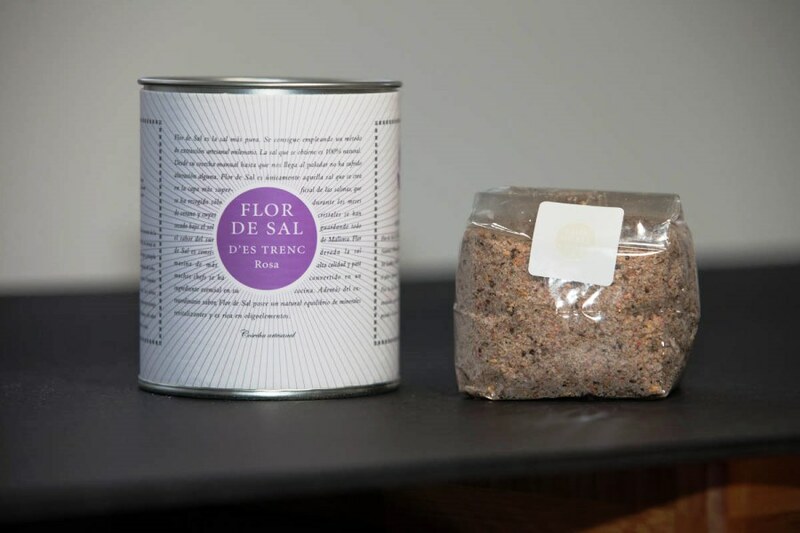 Simply on its own, with bread and olive oil, flor de sal is pure heaven. Salt is probably the most ancient condiment used by Mankind. Romans and Phoenicians used to collect sea salt from the beach of Es Trenc. The location was not chosen at random. This natural 3.5 km long beach on the south-east of Mallorca is one of the most unspoiled beauty spots in the Balearic Islands. During the mid-20th century, the Salt Flats of Es Trenc were the centre of much activity for salt producers in the area. Since then the tradition has continued. Sea salt is harvested from the flats irrigated by the crystalline waters from the beach that collects on the surface of the water bathed by summer sunshine. This is the way the precious crystals of FLOR DE SAL D'ES TRENC are formed.